Pakistan has been in the headlines for quite some time now. Most of these stories have to do with their constant skirmishes with India and the possibility of an oil strike in the near future. However, the latest news comes from a different front. Pakistan tourism is becoming more popular, especially among the younger generations whose curiosity about the culture there are drawing them in large numbers. In a recent article, The Telegraph reports that plans are being made to attract people to Pakistan’s tourist destinations from around the world. Way back in 1973 The Lonely Planet published a tour guide that touted Pakistan as a great place to find dope and drink beer. While that was indeed true at the time, Pakistan tourism has undergone some major changes over the last 40 years. In fact, Prime Minister Imran Khan has announced plans to kickstart Pakistan’s tourism program and help breathe new life into the economy there. He has gone so far as to post pictures of the most popular tourist attractions in the country – snow capped mountains and beautiful sandy beaches. This effort to boost tourism in Pakistan is backed by a push to completely change the visa system the country has been using for decades. A modern online visa system is now available to resident of five countries – the UK, China, Turkey, Malaysia and the UAE. 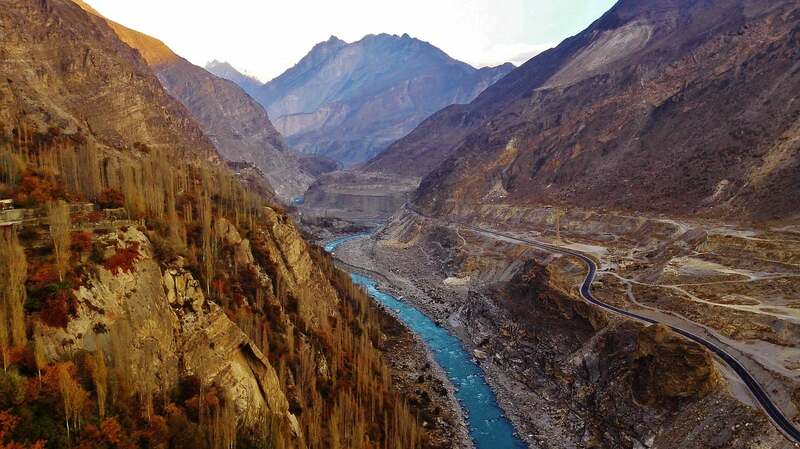 This new system is hoped to be a major attraction for Pakistan’s tourism program, as the old system was considered to be a major problem for those who hoped to visit the country. The move to alter the visa program was also backed up by reduced travel bans within the borders of Pakistan. Up until now Pakistan tourists have been limited in terms of where they were able to go once inside the country. Many people are very happy with the new changes, including Jane Westwood of Wild Frontiers. Wild Frontiers is one of the few UK companies that offer Pakistan tourist packages. She recently said “The old visa system was very convoluted. Both travellers and tour operators needed to file numerous supporting documents and the whole process took two weeks or more – now it can be wrapped up in a matter of hours. It is also significantly cheaper, from £134 down to the equivalent of $60 [£46].” Pakistan’s tourism program could very well make a large difference in the number of people visiting the country. Pakistan’s tourism program will also enable visitors to enter areas of the country that were once highly restricted. Some of these areas include Kashmir, Chitral and Gilgit-Baltistan. Westwood says opening these areas is a good thing for Pakistan tourism and will increase the freedom tourists experience in country.